Two interesting events next week where we have prints. We'll add pics after the events. MrMusichead in Hollywood is hosting a British Invasion Exhibition hosted by Peter Asher of Peter and Gordon and there will be a few prints at the Malibu Guitar Festival. 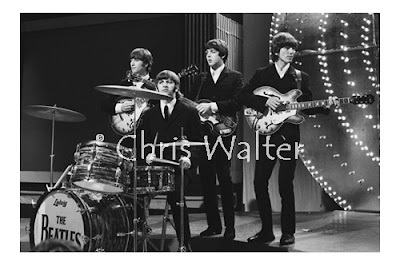 One photo in common is the 24x36 of The Beatles on Top Of The Pops in 1966. This was both the only time the band had appeared in person live on the show (others were taped elsewhere or films) and their last TV appearance as a working band. A month later they did a brief Satdium tour in the US and that was the end of the live shows. 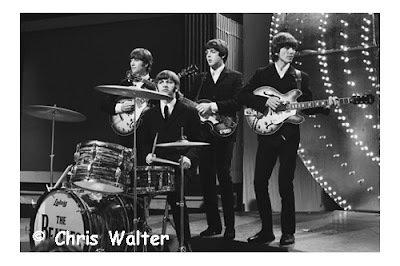 On June 16th 1966 The Beatles made their first and only live in studio Top Of The Pops appearance for Paperback Writer and Rain, which was also their last as an active group. In August that year a short US tour ending in San Francisco ended the performing era of The Beatles. To celebrate there will be a Fiber edition of 25 sized 24x36 of this print. We are happy to again be able to offer Fiber prints. 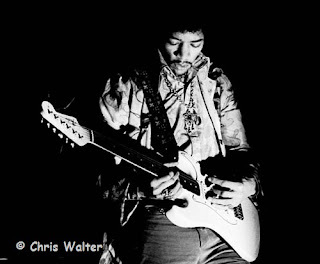 First up is a Jimi Hendrix at the Saville Theatre fiber edition.